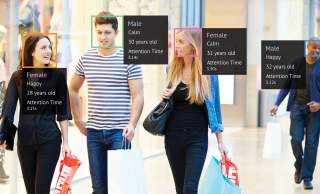 NanoLumens is joining forces with artificial intelligence and computer vision company AdMobilize to co-host a webinar on the importance of audience measurement and LED display performance. The webinar, titled “Using the WHO to Explain the HOW: The Importance of Audience Measurement with Regard to Display Performance,” will take place on April 19, 2018 at 2:00 p.m. EDT. Registration is now open here. On the webinar, the LED experts of NanoLumens and video intelligence specialists from AdMobilize will delve into the importance of understanding and measuring audiences, both qualitatively and quantitatively. Together, they will address their collaborative audience measurement technologies that keep display owners a step ahead of their competitors—and their consumers. The experts will explore how audience measurement technology works and why it is so effective, where the technology will go from here, and how business owners can incorporate it into their display networks.